Caliderumba Radio Es Una Emisora De Santiago de Cali, Tocando Música Salsa Colombiana Con Noticias De La Salsa, Vídeos De Salsa Romántica, Guateque, Golpe, Boleros, Noticias De La Cultura y Eventos En Cali, Recomendaciones Salseras, Conciertos De Salsa. 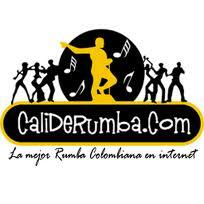 CaliDeRumba Radio is a hit live online broadcasting music channel based on Cali, Colombia. CaliDeRumba Radio plays different range of music genres like Latin, samba etc music . Among the people of all ages this radio channel plays music programs and talk shows 24 hours live online. This channel success was driven largely by the strength of its running programs with Latin, samba etc music. CaliDeRumba Radio is also available across Colombia. Samba is a Brazilian musical genre and dance style, with its roots in Africa via the West African slave trade and African religious traditions, particularly of Angola and the Congo, through the samba de roda genre of the northeastern state of Bahia, from which it derived. Although there were various forms of samba in Brazil in the form of various popular rhythms and regional dances that originated from drumming, samba as a music genre is seen as originally a musical expression of urban Rio de Janeiro, then the capital and largest city of Imperial Brazil.